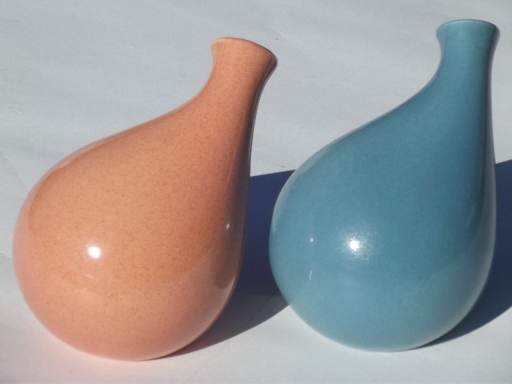 Set of vintage Red Wing Town and Country oil and vinegar cruet bottles (no stoppers), about 5" tall. 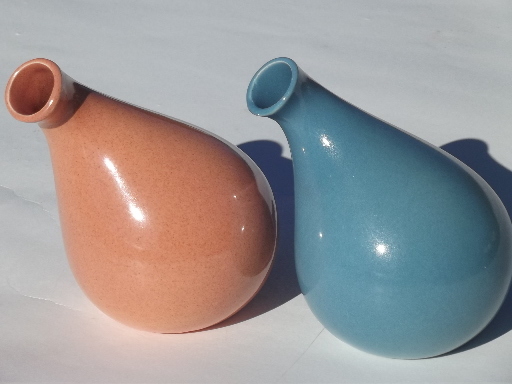 Great mid-century modern Eva Zeisel design! 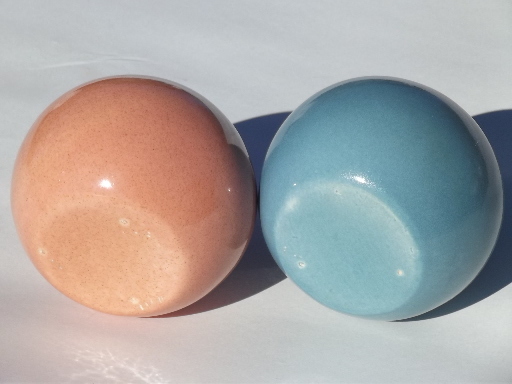 The glaze colors are dusk blue and peach, or sand ? 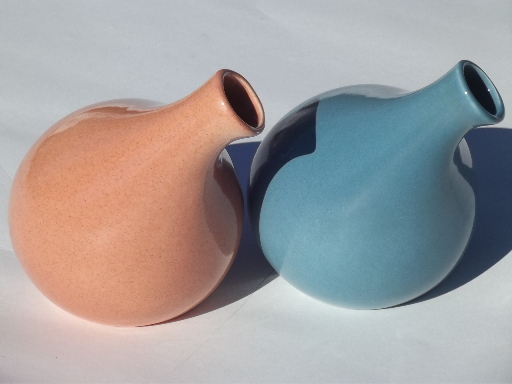 Both are in excellent condition without crazing or discoloration, and no chips or cracks.